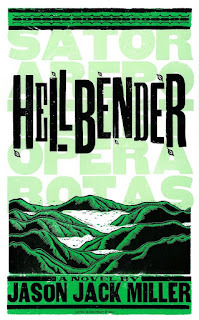 JASON JACK MILLER: A Snippet from Hellbender. 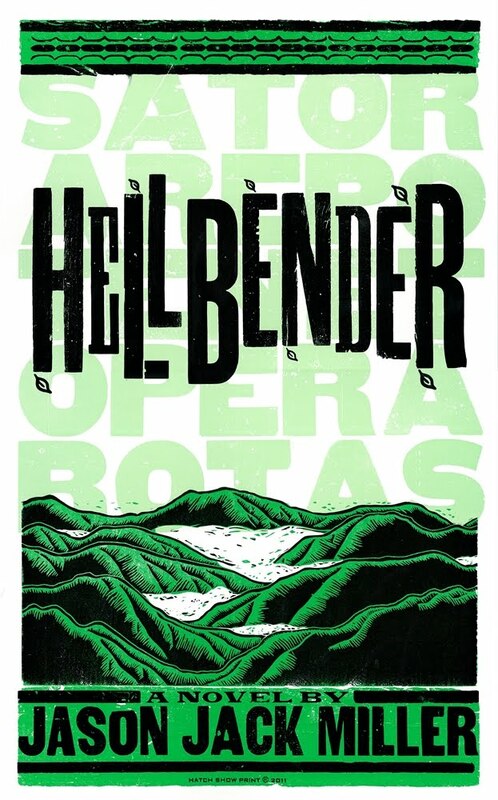 My first snippet for Science Fiction Fantasy Saturday is taken from my Appalachian dark fantasy novel, Hellbender (Raw Dog Screaming Press). Description:There are some strange things happening at the edge of reality where love is forever even when death isn’t and where magic doesn’t have to be seen to be believed. Henry Collins' quiet life is changed forever the day he buries his little sister. Her death forces him to enter a strange world whose very existence he spent his whole life denying--a dark wilderness where the old magic thrives--a place far darker and deadlier than the Appalachia he grew up in. To avenge his sister Henry must slip past the boundaries of logic and reason to a place where the only reality is survival. He won't be able to come home until his life is no longer simple, his heart no longer kind. This is a tale of star-crossed lovers and civil revenge by uncivil hands, written in blood that is barely thicker than water. If I could’ve carried her by myself, I would have. But just the weight of the pine and spruce box was more than I could bear alone. The linens that covered her body and her clothes, the last she’d ever wear, made her heavier. The coins that covered her eyes added a few ounces more. I could’ve carried her, by herself, forever. January wasn’t a kind time for a burial, but we don’t get to choose. Old Christmas hid the sun behind a flat grey wall of clouds. January has a way of taking a person's optimism and crushing it beneath its bony heel. I’d take June, when long days kept wayward pessimism at bay for just a few hours more, when blackberry blossoms spilt over old stone fences while young rabbits got fat and lazy. I’d take Solstice over Old Christmas any day. (BAD) LOVE IS IN THE AIR! Get THE DEVIL AND PRESTON BLACK free for your Kindle for some Valentine's Day reading. Promotion starts today. Welcome to SFFSat and wow, what an opener! Thank you, Misa! Really appreciate that. Appreciate the 'lyrical' comment. Sometimes I get as much inspiration from songwriters as i do from writers. Thanks, Gayle. With all the snow we're having it seemed really appropriate. Thanks for dropping by. Yeah, I took the whole 'make your characters suffer' thing very seriously. But don't worry about my boy, he can handle himself. Nice imagery! "January has a way of taking a person's optimism and crushing it beneath its bony heel." I LOVE this! So much revealed about the character in one sentence. Could it be considered Urban Fantasy even though it takes place in the hollows of West Virginia? Sort of like how Neil Gaiman's AMERICAN GODS doesn't always have the action in a city? I think so. Urban fantasy is a genre that probably needs to subdivide again. Welcome to SFFSAT! Awesome! You make scary sound so melancholy - loved it!! Hey, I just followed you on Twitter! Thanks for stopping by, TK! Appreciate the kind words. About to follow back, 'cause that's how I roll. Fun little snippet! Enjoyed the imagery and the general tone of the piece. Welcome to the SFFS crew! Really appreciate you taking the time to stop by. Many thanks. Reminds me of Manly Wade Wellman. Better specify Summer Solstice, though--Winter Solstice is NOT what you want. Will check out Wellman. Appreciate the recommendation. Many thanks for stopping by. An evocative snippet, so sad. Your book sounds fascinating. Welcome to SFFS! Thank you so much! Figured a sad snippet was good for the snowy Saturday. Thank you for stopping by. Great snippet, great imagery - love the mood and tone. Welcome to SFFSat! Really appreciate the kind words. I figured the mood was perfect for all the snow we got over the weekend. I'm more of a summer person, too. I hate the cold. I do like the invoking descriptions in this snippet. Nice! Appreciate the kind words! And 36 degrees and sunny tomorrow is going to make me very happy. Thank you for stopping by. Really appreciate it. Love the opening line in your book description. Got a real sense of grief from your snippet. Win an RDSP T-shirt by showing your love!